My colleague came to my desk one morning describing this Japanese cheesecake to me with the most exagerrated enthusiasm, repeatedly alluding to how sooooooo yummy!!! it was. I’m pretty easily sold by references to yummy, cheesecake or food, so I automatically matched the enthusiasm with an omg I want it!!! She ordered the LeTAO Fromage Double via this online Japanese supermarket which delivers to Hong Kong. When it arrived a few days later, I was a bit disappointed at its looks. Considering I paid about HK$200 for it, it was small and did not look fantastic (i.e. not that instagrammable). Thankfully, the moral of the story was the cliche of not judging a book by its cover. The cake has two layers. 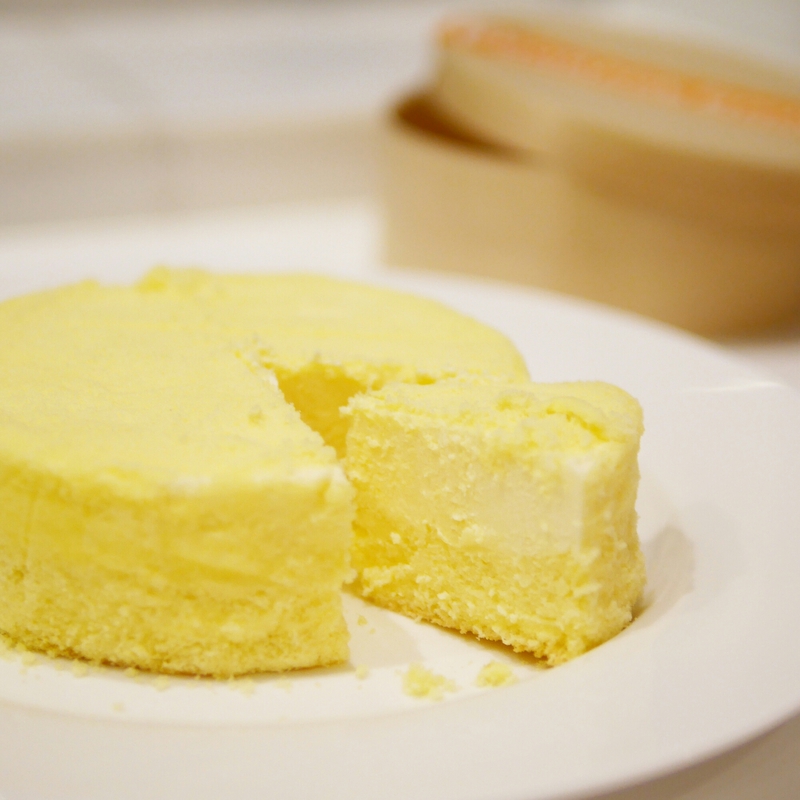 The top is light, refreshing and ice cream-like, while the bottom is a more intense and dense creamy cheesecake. Given how light the overall texture was, the taste was surprisingly strongly cheesy. Most importantly, it definitely tastes much better than it looks! Actually all of us in the office ordered another one each only two weeks later. They also have a chocolate flavoured cheesecake which I’ve heard optimistic things about but have yet to try! See more “Try this” articles here. See more posts on desserts here.